Three university parapsychologists lose a research grant when their experiment methodology is proven to be bogus. The team decides to go into business for themselves as "Ghostbusters", a ghost removal service. After struggling to get on their feet, they are summoned to investigate the strange happenings in a woman's Central Park West apartment. What they discover is that all Manhattan is being besieged by ghosts and other worldly demons through a portal in her building. The films were fully restored from their respective original camera negatives and presented on 4K Blu-ray with HDR and Dolby Atmos audio; the Blu-rays feature HD presentations also sourced from the 4K restorations. The special features disc includes more than two hours of long-requested and rare archival elements—including never-before-seen deleted scenes from the first film—along with returning interviews, effects breakdowns, multi-angle explorations and much more! 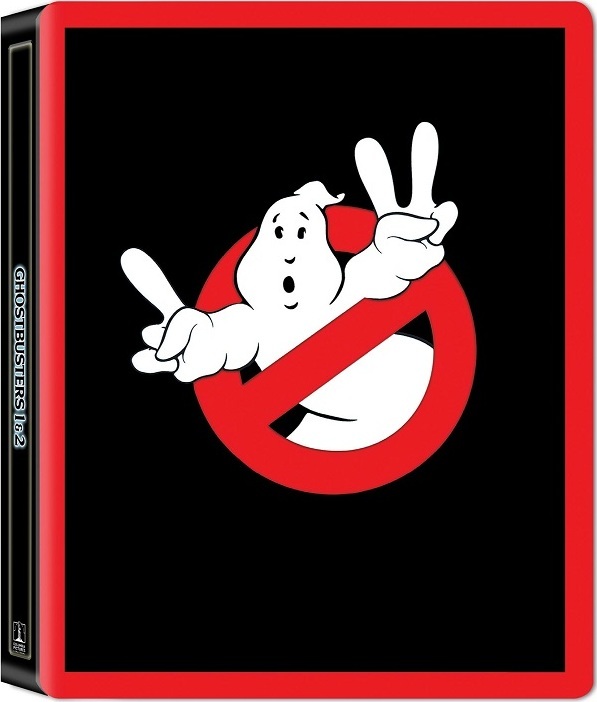 Both films also feature BRAND NEW commentaries, featuring the filmmakers on GHOSTBUSTERS II and passionate fans with deep-cut insights on GHOSTBUSTERS.